Kona Cleaners | Kona Cares for Kids! 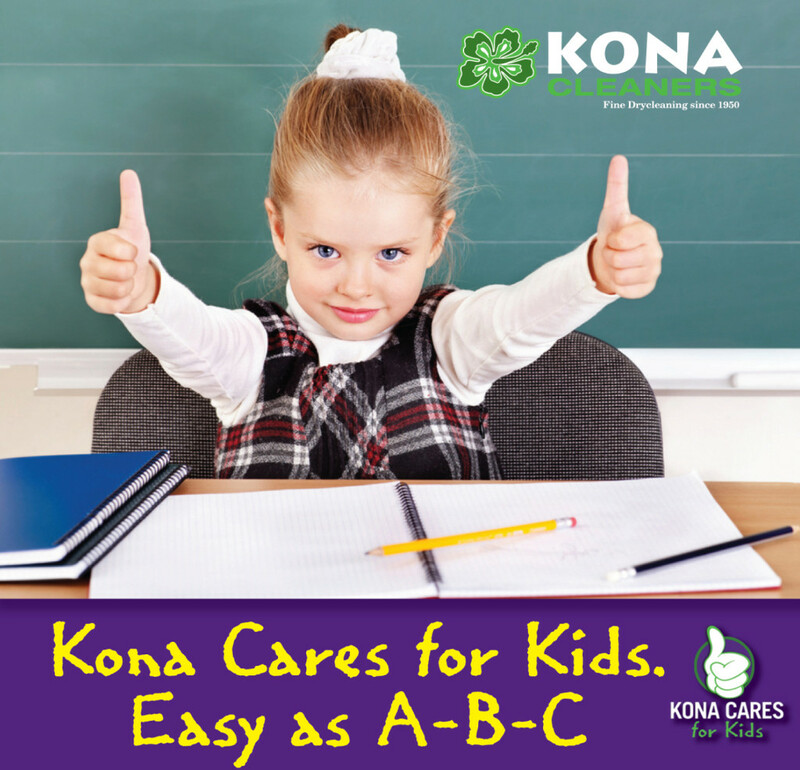 Kona Cleaners is excited to announce our new program, Kona Cares for Kids. Kona Cleaners gives back 5% of all dry cleaning sales to our local schools and you receive an automatic 15% off for caring! These are our participating schools. If you do not see your school listed, and would like to get them signed up, please email me and provide me with the school name and contact info! A. Register with Kona Cleaners. B. Receive an Automatic 15% off all your Dry Cleaning. C. Kona Donates 5% back to the school of your choice! New Customers sign up here and enter the school you want to give back to in the message section. Existing Customers email me the school you would like to give back to and I will take it from there!